PHOENIX – Oslin Lopez is not like most 10-year-olds. She’s not allowed to play outside, ride her bike, let alone run. Her mother keeps her indoors, away from the polluted air in their neighborhood near 27th Avenue and Van Buren Street, which worsens Oslin’s asthma symptoms. One outdoor activity the girl can’t dodge, though, is riding a diesel-powered school bus to and from Cesar Chavez Elementary School, something her mother, Herlinda Calderon, said has complicated her respiratory condition and overall health. Calderon said her daughter is healthy on the rare days she doesn’t ride a school bus. “It’s something we can’t control, though, because she has to take the bus,” she said. In search of a solution, Calderon became involved with Chispa Arizona and its campaign Clean Buses for Healthy Niños, a nationwide effort that launched in April of 2017 to replace diesel school buses with electric ones through the Volkswagen Environmental Mitigation Trust. In 2015, Volkswagen acknowledged its vehicles were programmed to cheat federal tailpipe-emissions tests, pumping more nitrogen oxides into the air than they were supposed to. The $2.7 billion mitigation trust was established to subsidize clean air projects across the United States. Arizona’s share of the settlement is $57 million. 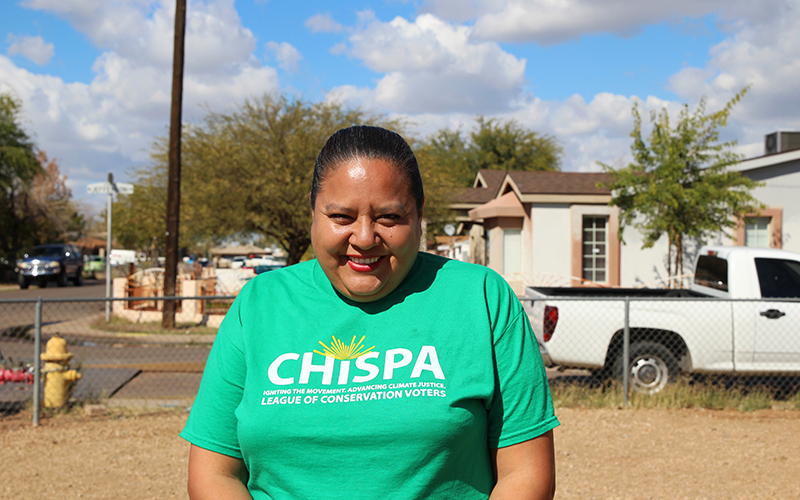 Masavi Perea, Chispa Arizona program director, believes that settlement money should be geared towards the 300,000 kids in metro Phoenix who ride diesel buses to school every day. According to the Natural Resources Defense Council, diesel exhaust includes fine particles, which sink into the lungs, causing lung damage, infections and asthma. A child riding a diesel school bus inhales as much as four times the level of diesel exhaust as someone riding in a car ahead of the bus. Perea said Clean Buses for Healthy Niños is focusing on low-income, minority neighborhoods where asthma is prevalent among children, including South Phoenix, west Phoenix and Maryvale. Calderon said the government isn’t taking enough action. 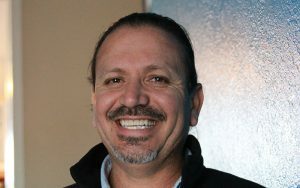 Sandy Bahr, the director of the Grand Canyon Chapter of the Sierra Club, which has shown its support for Clean Buses for Healthy Niños, also believes income should not determine who gets to breathe clean air. Bahr said the only so-called good reason to oppose electric buses is their cost. Perea said people don’t oppose electric buses; the opposition comes from corporations that profit from diesel engines. “There is not one human being that says, ‘No, it’s better to have diesel than electric,’ ” he said. Those on the other side of the issue, though, said they believe that diesel buses are the best bet. Diesel Technology Forum is a non-profit organization that champions the use of so-called clean diesel technology. Its executive director, Allen Schaeffer, said the Volkswagen settlement money should be spent on projects that will have the greatest impact on air quality. Schaeffer doesn’t think replacing diesel buses would contribute much to better air quality in Arizona. Schaeffer said a switch from diesel to electric is a niche investment that wouldn’t do much but appease those who advocate for it. 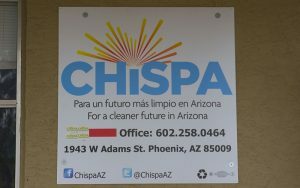 Phoenix City Councilwoman Kate Gallego supports Chispa Arizona’s Clean Buses for Healthy Niños. Gallego – who’s running for mayor – said that after talking with people in the community, the need for safe school buses became apparent. “We have areas in Phoenix with really high rates of youth asthma, so it seemed like a perfect use of the Volkswagen settlement fund, to help kids get to school safely and to improve our air,” she said in a phone interview. According to the League of Conservation Voters, Arizona Gov. Doug Ducey is willing to consider gearing Arizona’s Volkswagen settlement towards new buses. Gallego said she thinks Ducey eventually will voice support for this campaign, something parents like Calderon have been longing for. “If he took the time to see just how bad the contamination is in this area, our lives would change tremendously,” Calderon said. Arizona Rep. Charlene Fernandez, D-Phoenix, who represents District 4 and was a sponsor of Clean Buses for Healthy Niños, is among the state officials encouraging community members to participate in the public comment period of the Volkswagen settlement. Arizona is expected to submit a mitigation plan sometime in spring. Sign up for CRONKITE DAILY to catch up on the latest news.